100% cotton kitchen dish towels are absorbent and adorable. They make a perfect gift for a friend or yourself! These are machine washable. This towel measures 25"x19" when open. 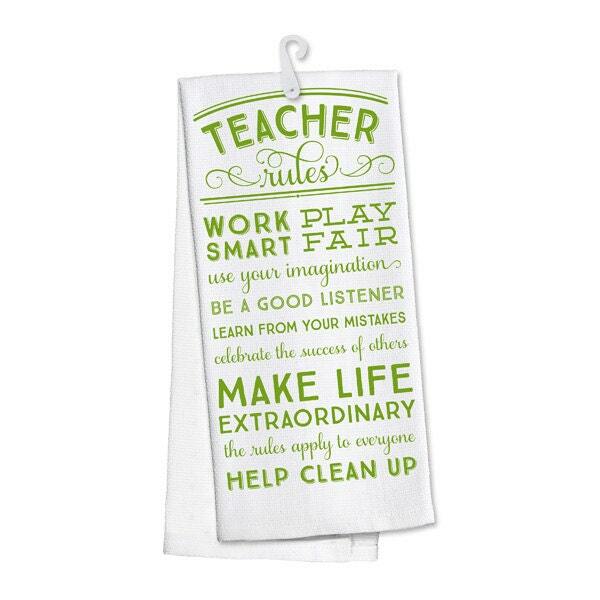 These are the perfect gift for any teacher/friend.